The A Line opened on June 11, 2016. This rapid bus line has a package of transit enhancements that adds up to a faster trip and an improved experience. 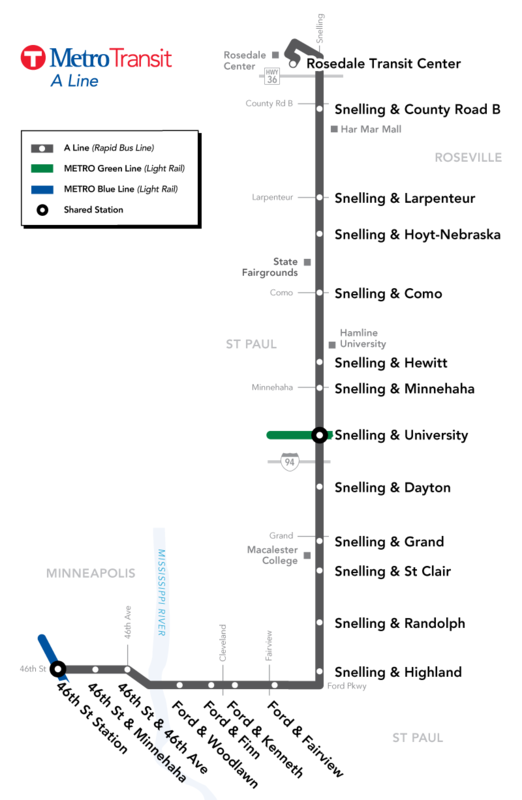 The A Line connects the METRO Blue & Green lines with the busy Snelling Avenue corridor and several popular destinations, including Hamline University, Macalester College, Highland Village, Rosedale Center, HarMar Mall, Minnehaha Park and the Midway area.